Sami Lamine, is appearing in a supporting role in BROKEN WINGS as ‘Mansour Bey Galib, directed by Bronagh Lagan, at the Theatre Royal Haymarket in London’s West End. Soprano, Caitlin Mead, will be returning to her home state of Wisconsin to perform in the Madison New Music Festival, August 10-12. Emmy Potter will be performing in the Dirty Blondes Theater Company's Play-in-a-Day Fest on Saturday, July 14th at 8pm at the Kraine Theater (85 E 4th St between Bowery & 2nd Ave). The annual festival brings together a group of actors, playwrights, and directors to conceive, write, rehearse, and perform seven short plays in just 24 hours, focusing on collaboration and working from gut instincts to produce the best work possible in a short amount of time. This workshop will focus on the "repetition" exercise as it relates to listening and working off the other person. Students will learn the meaning of working from their truthful selves and how this prepares you for working on script. Attendees will get the opportunity to participate in the exercises, take notes and ask questions. TO RESERVE A SEAT ATTENDEES MUST PRE-PAY AT VENMO OR PAYPAL. IF YOU PREFER TO PAY BY CHECK PLEASE CONTACTME VIA EMAIL AND I WILL PROVIDE YOU WITH MY MAILING ADDRESS. VENMO IS THE EASIEST, AND FASTEST WAY. Email Alan Gordon Studio at alangordonstudio@gmail.com for more information pertaining to future workshops and ongoing classes. The per week class rate has gone up from $50 per class to $55 per class. 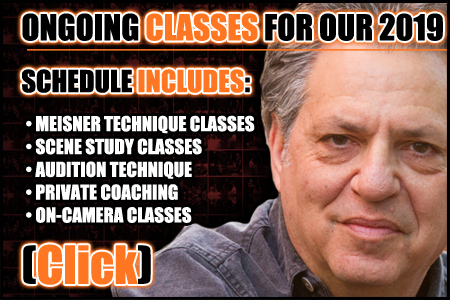 $55 per weekly session / Payable Monthly On-going classes, students may start at any time. The Meisner Technique was created by Sanford Meisner to develop the actor's instincts by removing the thought process from the work. The 1st stage begins with the "first thing" repetition exercise. At this stage the students learn to place all their attention on one another and repeat verbatim what they hear. They add nothing to the exercise. No line readings, emoting or forced responses. By staying in the repetition students connect with Meisner's first rule: don't do anything until something happens to make you do it. 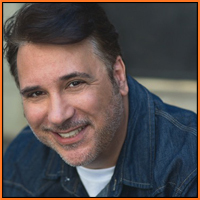 Lou Martini, Jr. has recently appeared in CRASHING on HBO in the role of ‘Gene’, and in SEVEN SECONDS as Atty. ‘Barry Plumetti’, on Netflix. Marisa Karchin is the 2018 International Art Song Award Winner. David Heber booked a commercial for Bob’s Discount Furniture. The Alan Gordon Studio is proud to announce the arrival of a new student; David Heber. 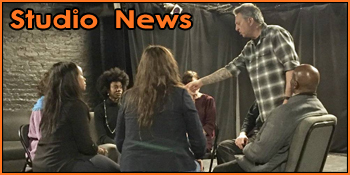 Their Meisner education with teacher Alan Gordon has begun as they join these ongoing classes for our 2018 schedule! 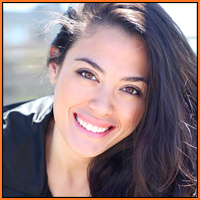 Jesse Gruberg will be appearing in a new play, MORNING COFFEE, written by Jawanza Kari, at the Playroom Theater. Lou Martini, Jr. booked a recurring role as Det. McHale on the TV pilot SOBER. 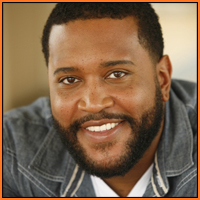 James Kacey booked a recurring role as ‘Detective Rogers’ in the TV pilot SOBER. James also booked a lead role as ‘Mickey’ in the TV comedy pilot PUZZLED, and another lead role in the short film MISSED. 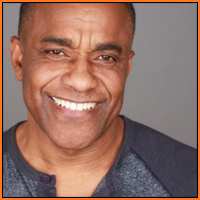 Lorenzo Scott was cast on "Law & Order: Special Victims Unit" Episode: Chasing Demons. He plays a doctor arrested for sexually abusing his patients and is set free after Cassidy's testimony causes a mistrail. Need practice? We all do. There’s no downside to working at your craft. Don’t let those acting muscles atrophy. Sanford Meisner's technique is based on the "reality of doing". He sought to provide his actors with an organic/instinctive way of working. He accomplished that by creating his "repetition exercises" By removing the thought process from the actor's work, he opened the door to their instincts. Decades of actors have chosen Meisner's approach to acting as a means of working from their innate sense of truth. 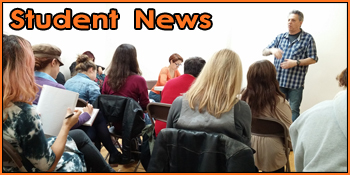 The Alan Gordon Studio is proud to announce the arrival of new students. 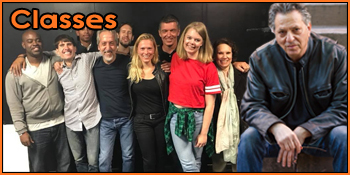 Their Meisner education with teacher Alan Gordon has begun as they join these ongoing classes for our 2018 schedule! Thank you to Herby William for making this wonderful slate for the Alan Gordon Studio! Thank you to Jesse Gruberg for making this wonderful slate for the Alan Gordon Studio! Thank you to Nia Ferguson for making this wonderful slate for the Alan Gordon Studio! Thank you to Ginnine Cocuzza for making this wonderful slate for the Alan Gordon Studio! Thank you to Emmy Potter for making this wonderful slate for the Alan Gordon Studio! Class Price Updates: As of January 1, 2018 my fee for all my classes will be $55 per class. Thank you for understanding. "Alan Gordon is absolutely the finest teacher and coach I have ever worked with in all my years in the business..." ~ Lou Martini Jr. Copyright © 2015 Alan Gordon Studio. All Rights Reserved. • Site design by BBR Productions Inc.